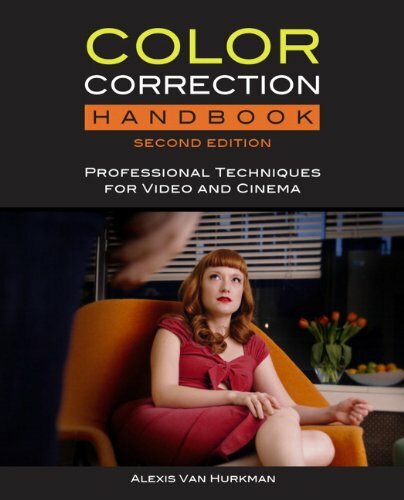 Hello can i buy your Color Correction Handbook: Professional Techniques for Video and Cinema (2nd Edition) but downloadable edition. It’s available in electronic form for Kindle or Kindle apps from Amazon, or as an ePub and/or PDF from Peachpit Press’ website directly. Man, you know how to explain stuff! This is an awesome read. Great! I’ve asked around and just about everyone includes this book in recommended lists for color correction learning, so I will by it. My question is, with Resolve 12 around the corner, is there a 3rd edition in the works and should I wait a bit for it, or should I go ahead with this 2nd edition? No, there’s no 3rd Edition that’s just around the corner. If one materializes, it’ll likely be in a couple of years. The content is all still completely sound for all current and immediate upgrades to grading applications. Thanks for writing these books, I’m finding the first edition most helpful! I’m reading the first edition after not paying attention to the fact a second edition exists. Ouch. Anyway, I was wondering if it was possible to get an electronic (I’ve got a paper one now) version at an ‘upgrade’ price, instead of buying the book all over again. I’ve gone back to punishing my eyes and reading off a screen. Alas, there is no upgrade price. Booksellers work (and pay authors) using a different model from software.